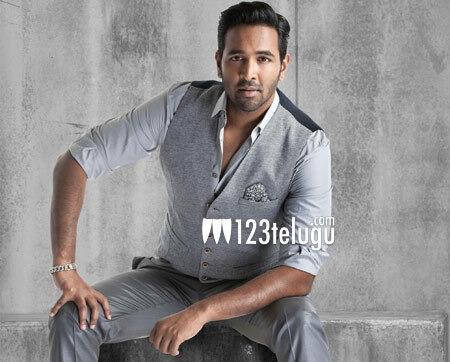 The title of Vishnu Manchu’s soon to begin Telugu-Tamil bilingual movie has been unveiled during the birthday celebrations of his father and veteran actor Mohan Babu at Sree Vidyanikethan school in Tirupati tonight, with legendary music composer Ilayaraja doing the honors. Interestingly, the film has been titled ‘Voter’, giving rise to speculations that the movie could be a political thriller, keeping the election fever in mind. However, be prepared to be surprised with a totally new plotline from the team. Delhi beauty Surabhi will be playing the female lead’s role in this movie, which will be directed by Karthik Reddy and produced by John Sudheer Pudhota.